Investigators are probing an incident in which a private plane flew too close to Air Force One last week, according to sources. The planes reportedly came so close that the two pilots could see each other. The close encounter occurred over Florida on February 3, while US President Donald Trump was en route to Palm Beach International Airport for a weekend stay at his Mar-a-Lago estate, ABC reports. Bloomberg reported that the two aircraft were about 2 nautical miles from each other, despite regulations which require planes to stay at least 3 nautical miles from each other near airports and as far as 5 nautical miles apart at higher altitudes. However, ABC News cited a source as saying that the two planes were so close that the pilots made visual contact with each other. Another source said there was no danger of collision, because the planes were flying parallel to each other. Both planes were reportedly in constant contact with air traffic control. The encounter comes despite a number of special safety and security provisions which are enacted when the president is traveling. Those include Federal Aviation Administration (FAA) air-traffic supervisors paying closer attention to what is happening in the air, as well as Secret Service officials monitoring the airspace for potential threats. 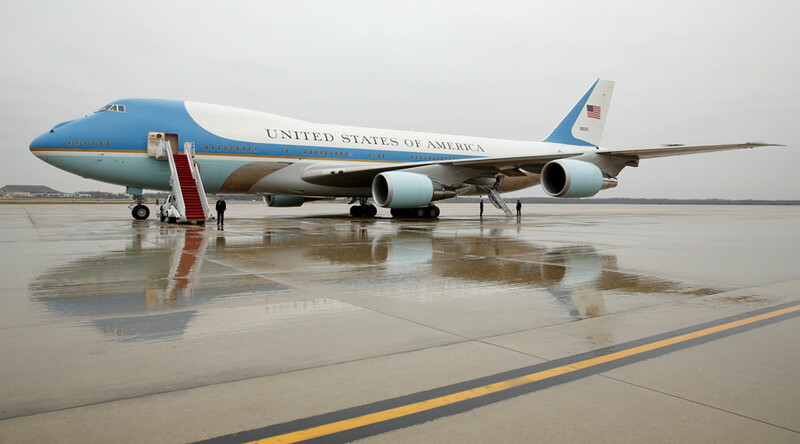 Other flights are often delayed or diverted to create extra space around Air Force One. 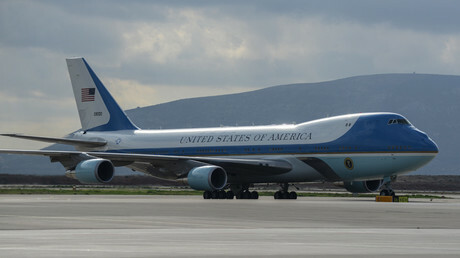 In addition, all turbine-power aircraft – including Air Force One – are equipped with devices which track other aircraft and issue warnings to prevent mid-air collisions. The incident is being investigated by the FAA. The National Transportation Safety Board, which has the authority to examine aviation incidents, has also been notified.